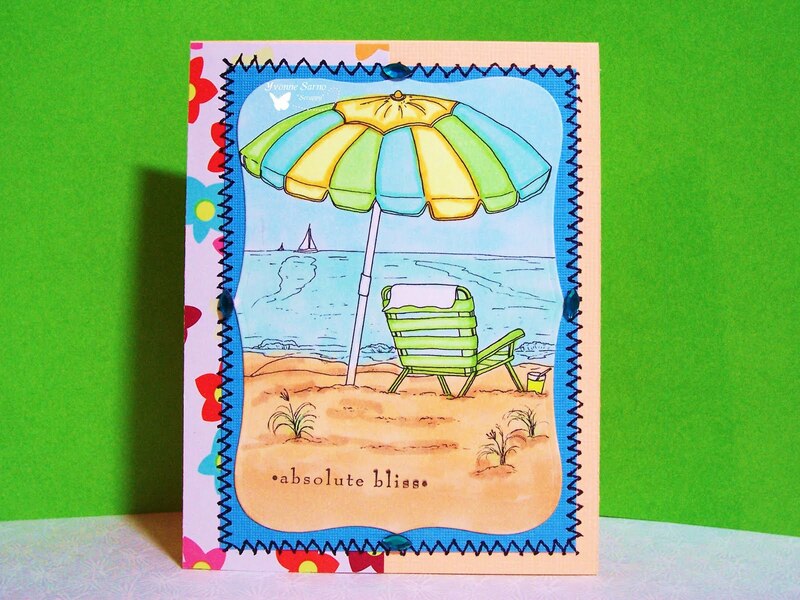 New Challenges at Pile it On & Crafty Hos + a BLOG HOP!! Pile it On also has a new challenge up on the blog sponsored by Stamp Fairy! This week we are are asking you to use a 'Keep Cool' theme! For the challenge I used Lil Kitty as a twist on 'cool' - because this is one cool cat! We can't wait to see what you create! Crafty Ho's has a new challenge and BLOG HOP up this week! This week we challenge you to make a card or papercraft project using an Anything Goes theme and join us for our prize filled blog hop! In fact, if you just came from Audrey's Blog, you are on the right track! If not head over to the Ho Blog to start the fun! For further prize details and to enter, head over to the HO BLOG. This weeks Bugaboo Stamps Catch the Bug Challenge is another fun one!! Like my card featuring Ava Mermaid below, this week we challenge you to create a project using a water theme!! For complete rules, prize and challenge info, go over to the BUG BLOG! We look forward to seeing your projects! One Stop Craft Challenge has a fun new challenge up today! 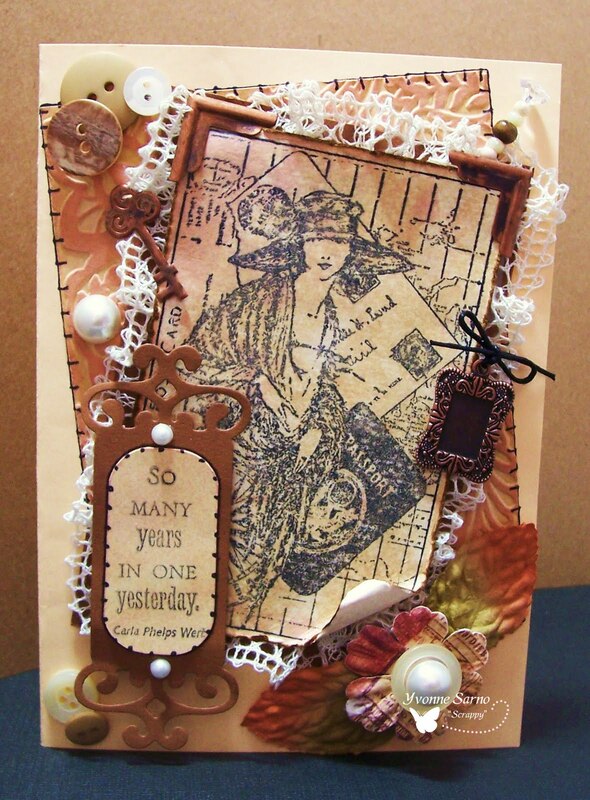 The challenge is to make a card or project with a vintage theme! Head over to the One Stop Crafts Challenge to see the rules and show us your gorgeous creations! We can't wait to see them! This card features stamps from Hampton Arts and Cloud 9 Designs for Fiskars. There is a new challenge up at AIFactory today! It's a super easy one this week! We wanna see you make your own Embellies! For all rules and prize info, head over to the AIF Challenge Blog. Of course, we'd prefer that you use AIFactory Digis, but any stamps will do! Don't forget AIF has plenty of freebies available at their site HERE too! You'll have until 11:59EST on Wednesday, August 4th, 2011 to link up your wonderful projects! Good Morning everyone! I hope you are having a fabulous day wherever you are! I know all of us at Shelly's Images are! Afterall, it's Marvelous Monday - The day when a very special stamp is discounted in the Shelly's Images store for one day only! Head over to the SI Shop and nab '1st Birthday''! You'll be glad you did! I am sad to say, this is my last post as a member of the Ooh la la Design Team. It has been a pleasure and a privilege to work with all of my fellow DT Members as well as Anne and Wendi! 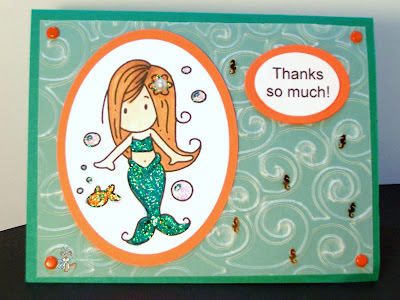 I have loved every minute of working and representing Ooh la la Creations and the Ooh la la Challenge Blog! Thank you all so much! There is a fabulous new challenge up today at Ooh la la! This week we want you to use circles on your cards! So go get creative, and then head over to OLLCB to show us what you've got! We can't wait to see what fantastic papercrafts you produce! Pile it On has a new challenge up on the blog sponsored by Paper Pretties! This weeks theme - Fun in the Sun was so much fun, that I found myself making multiple projects for the challenge! Check out this Paper Pretties cutie enjoying his Sweet Treat below! 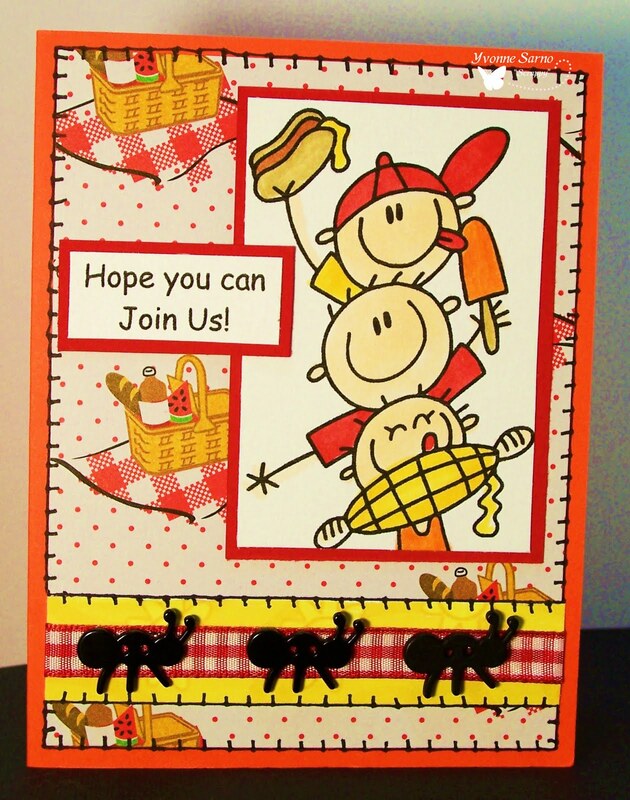 Pixie Cottage - "Fun with Food"
Crafty Ho's has a new challenge up today! This week we challenge you to make a card or papercraft project inspired by the picture on the Crafty Ho Blog! 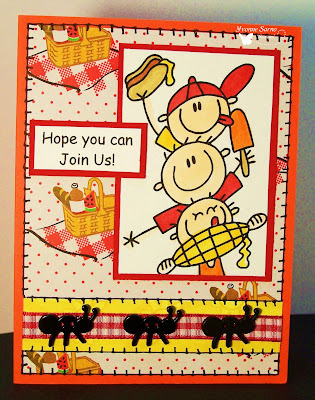 For my project I used a Bugaboo Stamps AKV BBQ image! For further details on the Ho Challenge and to enter your own fantabulous creations, head over to the HO BLOG. Pile it On also has a new challenge up on the blog sponsored by Paper Pretties! This week we are is a theme challenge - Fun in the Sun! Easy Peasy! We can't wait to see what you create! Be sure to check out my other PIO post today HERE! This weeks Bugaboo Stamps Catch the Bug Challenge is another fab one!! This week we want you to create a project using Metallics plus Eyelets or Brads! For complete rules, and challenge info, head to the BUG BLOG! We look forward to seeing your projects! Today we have a new challenge at One Stop Crafts sponsored by One Stitch at a Time! 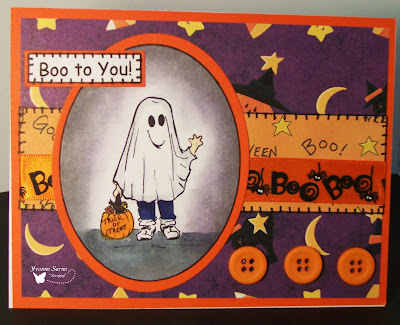 'Boo to You' is one of the images that was generously provided by our sponsor for this weeks challenge! This time we have a recipe challenge - we want you to use 1 ribbon/ lace, 2 dps and 3 buttons on your card or papercraft project! 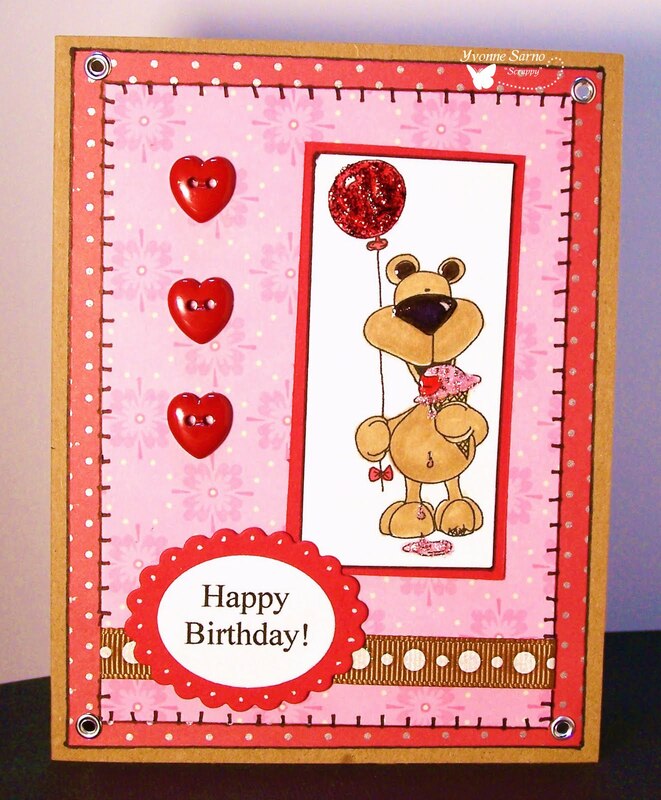 So head over to the One Stop Crafts Challenge Blog to show us what you've got! We can't wait to see what you create! Hope it's the best one yet! As I mentioned in my last post, our week-long Christmas in July blast at Bugaboo Stamps Catch the Bug Blog is almost over! 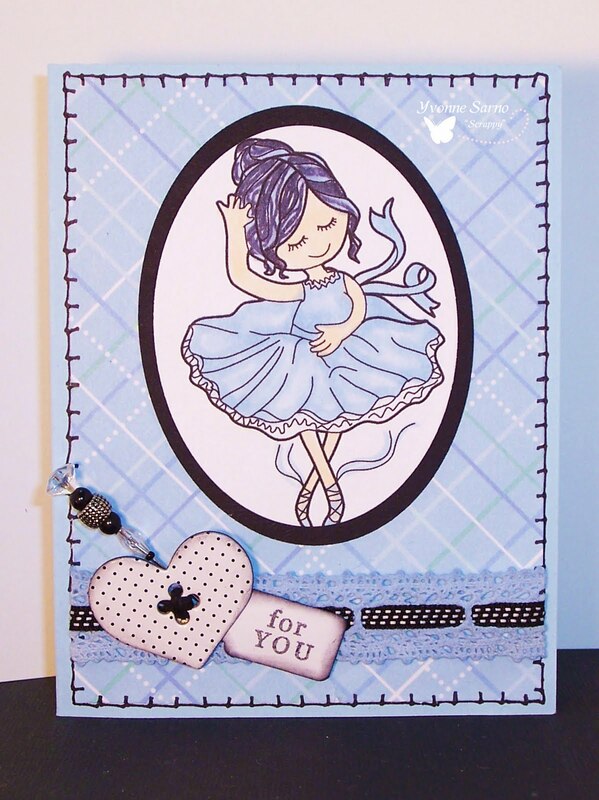 But we have one more Mini Challenge today and Jodie has another AWESOME freebie for you at Bugaboo Stamps! How cool is that?! 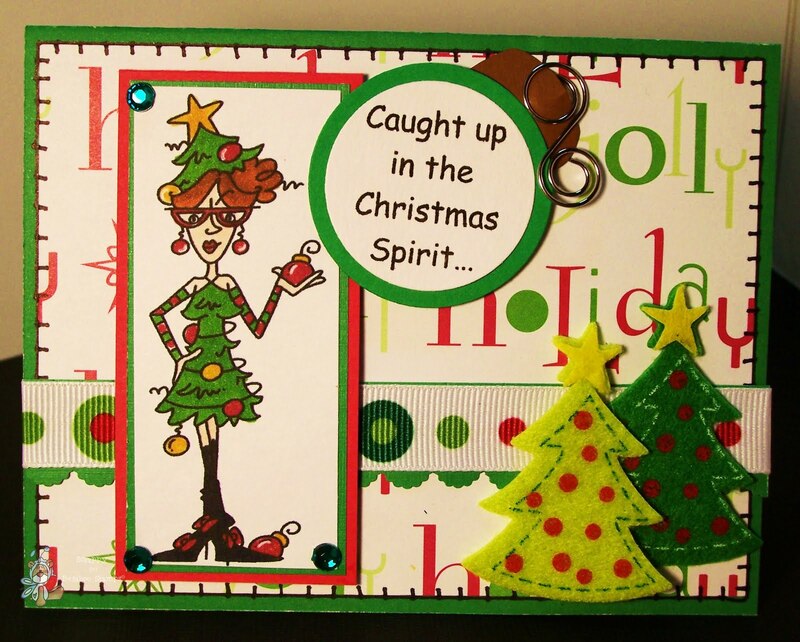 For today's mini challenge, we have an Anything Goes with Christmas in July theme! So, for my 2nd project I featured this weeks new freebie, Deacon Christmas! Hope you like my card! For todays mini challenge head over to The Bug Blog! To nab this weeks Freebie, head over to The Bug Shop! 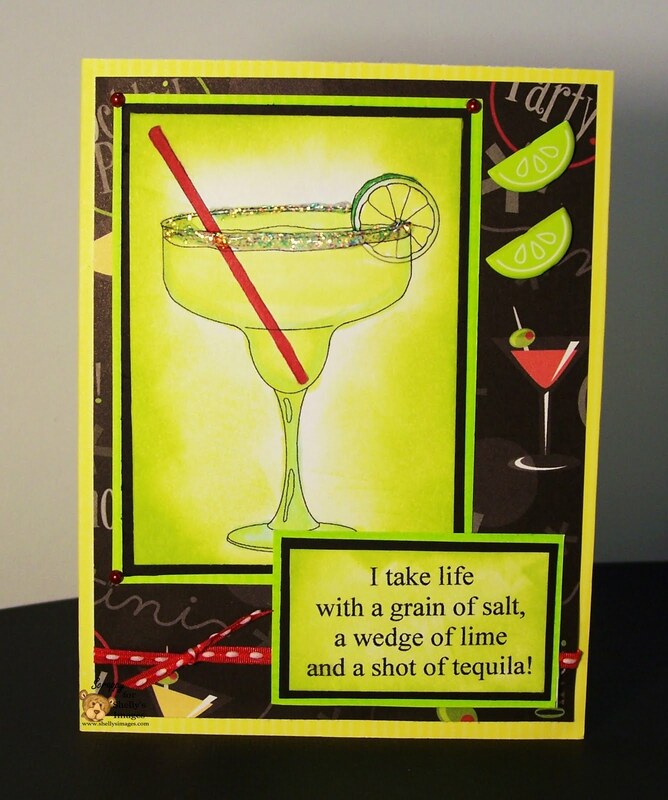 To see my other card for today, click HERE! 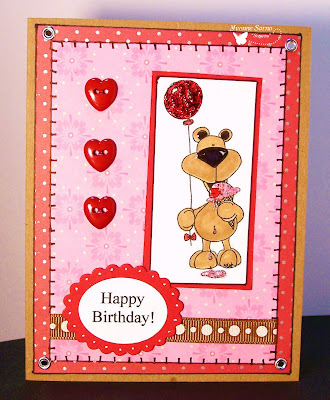 FreebieFriday and final Mini Challenge at Bugaboo Stamps! 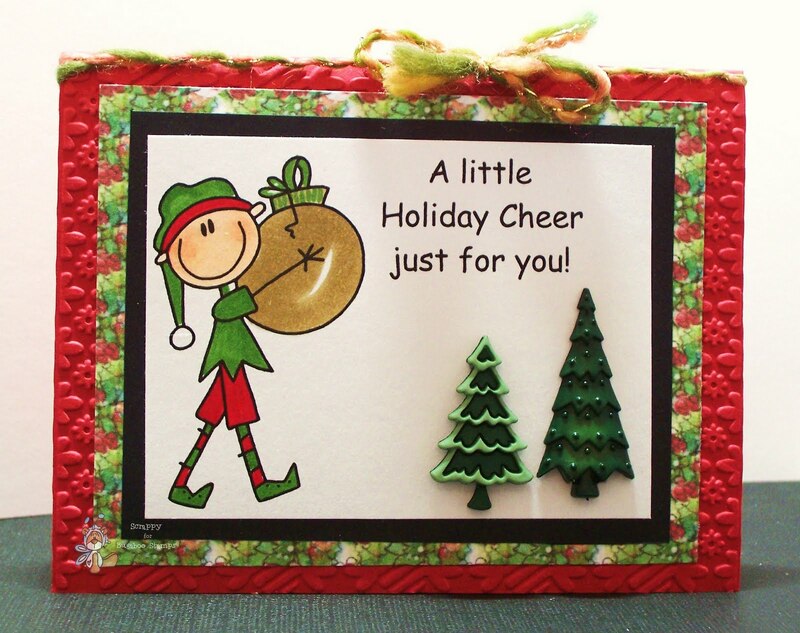 Our week-long Christmas in July blast at Bugaboo Stamps Catch the Bug Blog is almost over for the week and boy has it been a blast! We are so happy to have had so many entries and the projects have been AMAZING! Y'all should really be proud of yourselves! 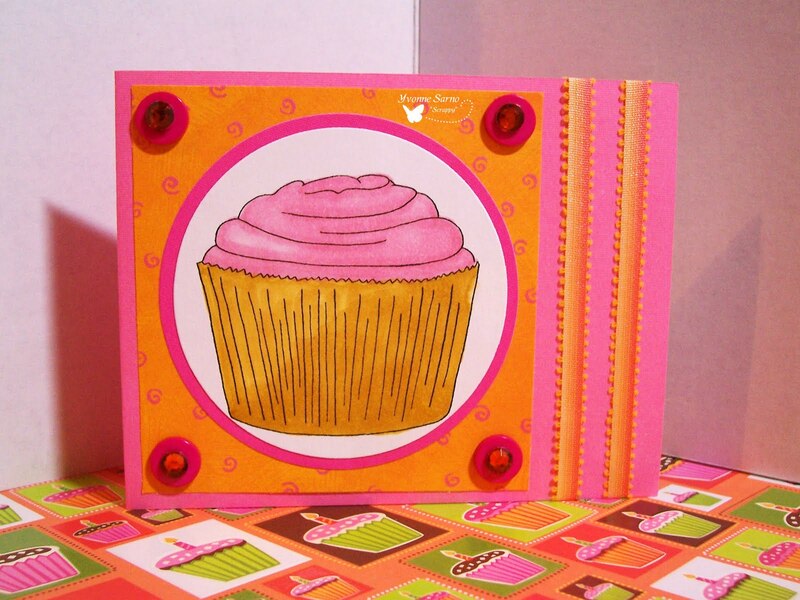 That said, we have one more Mini Challenge today and Jodie has another AWESOME freebie for you at Bugaboo Stamps! Yeah! Jodie freakin' ROCKS hmm?! Today I have TWO projects to share with you - mostly because I couldn't decide which to do - a common occurance with my Bugaboo Stamps images! 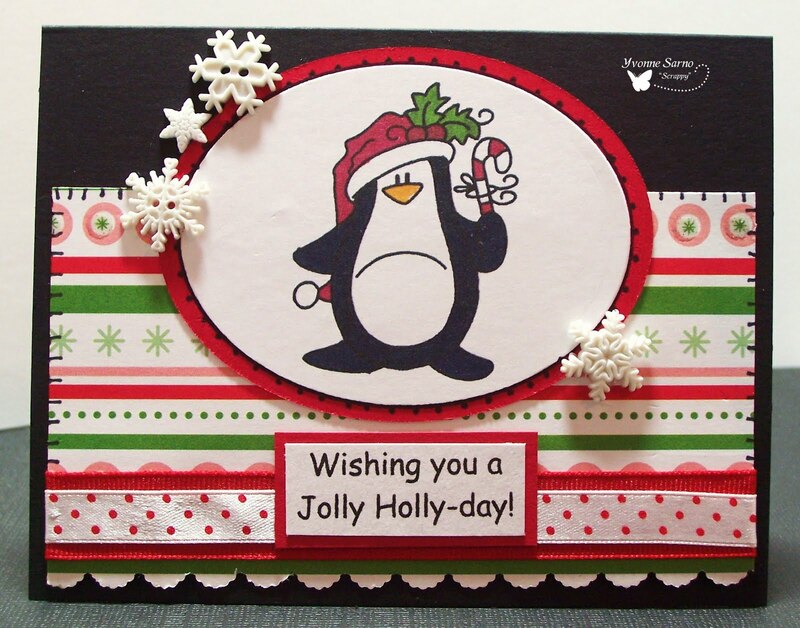 I hope you will enjoy my first project - an Anything Goes project with a Christmas in July Theme! 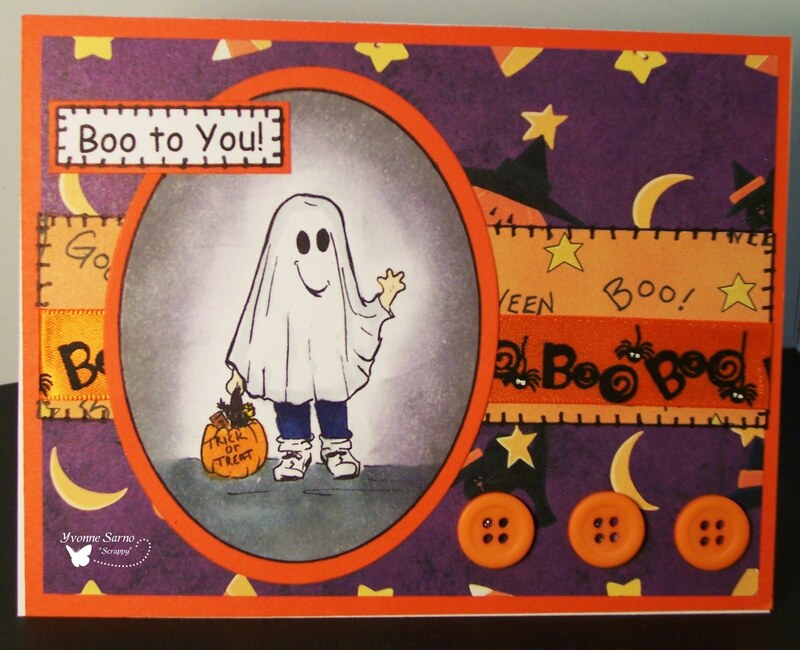 For this card I featured one of my favorite Bugaboo characters - Gus! The look on ol' Gus' face just BEGGED for a...ahem...colorful comment, but I went with a double entendre instead! (Won't my 10th grade English teacher be proud?! ;)) Hope I made you giggle, and that you like my card! ObG Thursday + a Mini Challenge at Bugaboo Stamps! It's Oldy but Goody day for the DT at Bugaboo Stamps! 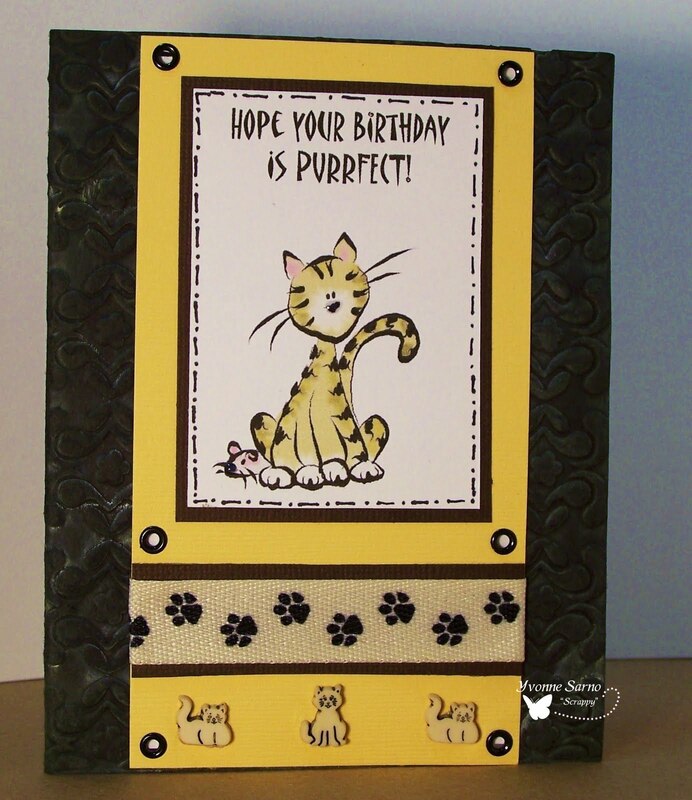 Normally on ObG Thursdays, - some of the Bugaboo DT shows off their creations featuring some of their favorite Bugaboo Stamps images that are not part of a current release! This week we are celebrating Christmas in July with a week full of mini challenges, a blog hop, prizes and more! 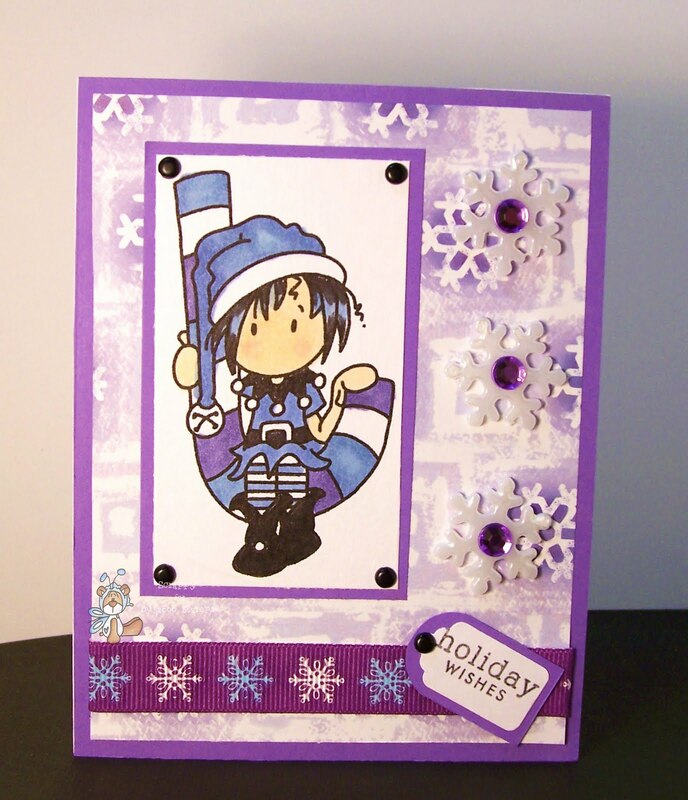 So today we are challenging you to use a 'snow theme' on your card and papercrafts projects! For more details, check out the Catch the Bug Blog! My card below features Bugaboo Stamps Snowman Polka Scarf. There is a new challenge up at AIFactory today! It's a super easy one this week! We wanna see you use lots of layers! For all rules and prize info, head over to the AIF Challenge Blog. Of course, we'd prefer that you use AIFactory Digis, but any stamps will do! Don't forget AIF has plenty of freebies available at their site HERE too! You'll have until 11:59EST on Wednesday, July 28th, 2011 to link up your wonderful projects! Aud Sentiments has a fantastic new challenge up this week sponsored by our super generous sponsor - Just Some Lines! 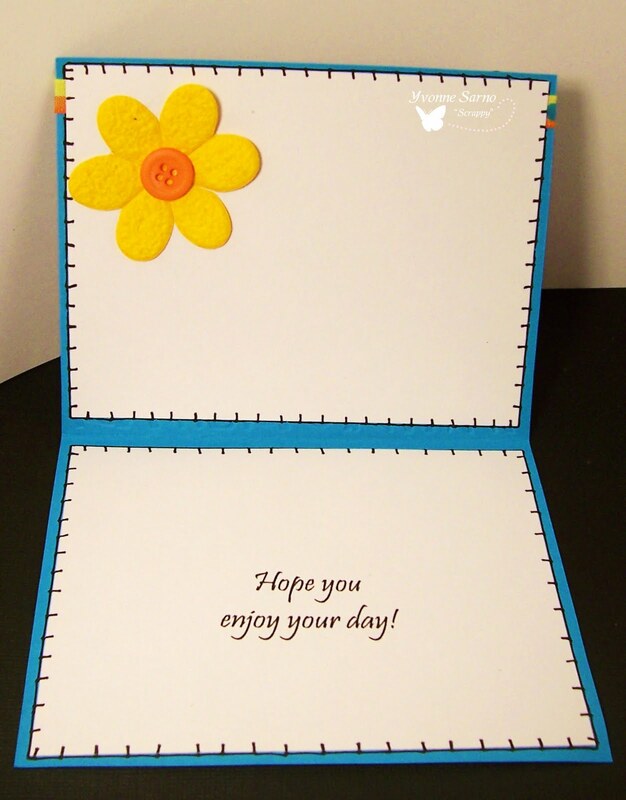 This week we want you to use a the words "Enjoy your day" on your cards and papercraft projects! So let's see what you've got! Link up your entries at the Aud Sentiments blog HERE. Don't forget to check in at the Shelly's Images Blog to see what exciting fun we have going on for Shelly's Week-long Birthday Celebration! Today we have a super fun Name that Digi Game with prizes so be sure to check it out HERE! 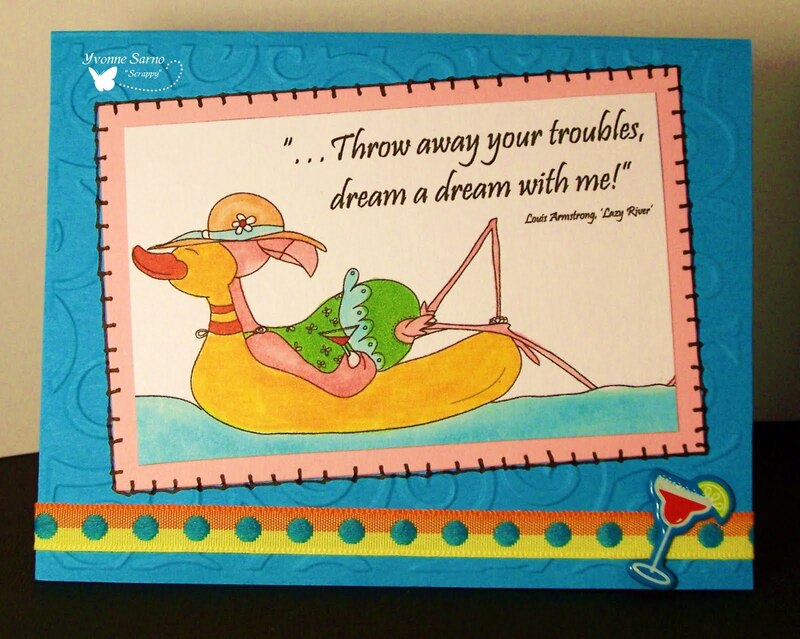 My card featured above uses Shelly's Images Island Life. Since we are in the midst of a heatwave here, I'm trying to picture warm breezy beach days like the one pictured instead of this stiffling humidity! Head over to Shelly's Images Shop and refresh yourself too! There are plenty of super cool images to beat the heat! 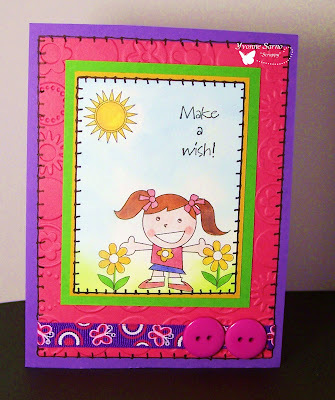 New Mini Sketch Challenge open today at Catch the Bug with Bugaboo Stamps! There is another fun Mini Challenge up at Bugaboo Stamps Catch the Bug Blog today! This time it is a Sketch Challenge provided by Min - one of our extraordinary Asst DT Coordinators! Go and check out the sketch (which I flipped for my card featuring Eggbert below!) at the Catch the Bug Blog! Maybe you will be one of our lucky winners during our Christmas in July Celebration!! Woot Woot! Come and HOP with me and Shelly's Images! 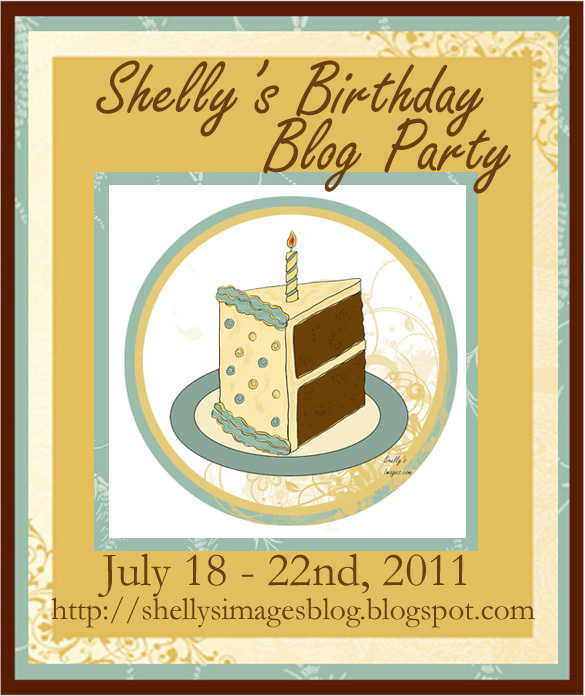 *FOR* our 2nd day of Shelly's FaNtAsTiCaL Week-Long Birthday Celebration we are doing a BLOG HOP!! So...if you've just come here from Min's Blog you are on the right track, if not just hop right back to the Shelly's Images Blog to get started! After you've finished reading my post, checked out my card below, and left me some love (puhlease! ), just hop along to the amazing Sammi's Blog *FOR* more Fun!! And *FOR* an additional twist, we'd like our hop participants to collect one word from each stop of the hop! (Hint: My word appears NINE TIMES throughout this post.) Then once you've collected all of the words, you create the winning phrase to email to Shelly@shellysimages.com That puts you into the running *FOR* a sUpEr AwEsOmE prize from Shelly's Images! One winner receives one free image a month *FOR* the rest of 2011. All participants who email the correct phrase will get a coupon *FOR* a "Buy one and get one free" digi from Shelly's Images! Thank you *FOR* joining us to celebrate Shelly's Birthday. Winner's will be announced Friday on the Shelly's Images Blog. What a great excuse *FOR* you to play along hmm?! Good Luck! 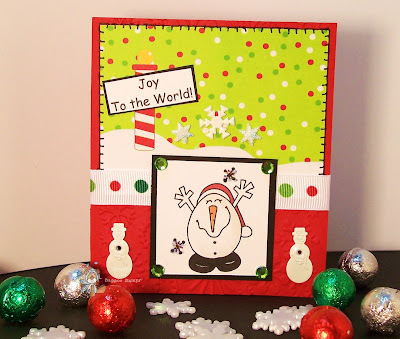 As part of Bugaboo Stamps Christmas in July week, Jodie has generously given everyone a fabu digi from today's New Release to play along with today's mini challenge! I just LOVE Sassy, Sweet Ruby Christmas Ornament and can't wait to see what else Jodie has up her sleeve! Check out the details on todays and everydays mini challenges at the Catch the Bug Blog! You'll be so glad you did! 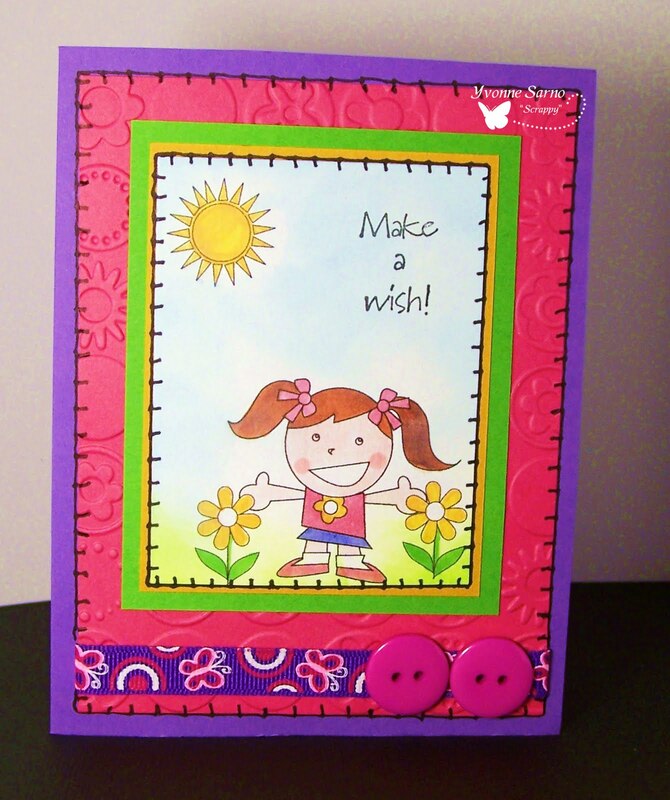 Today at Bugaboo Stamps Catch the Bug Blog, we have another fun little challenge up! 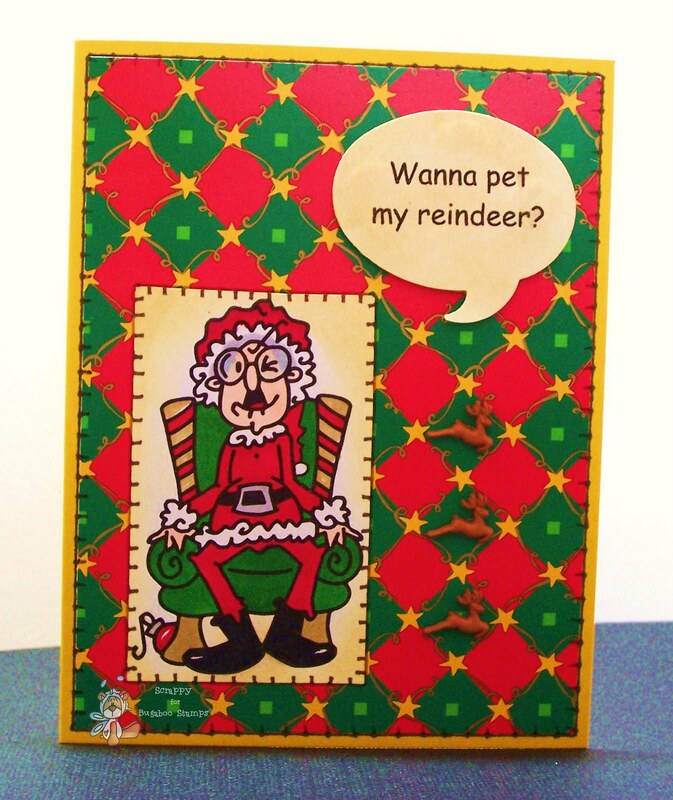 Today we want you to make a Christmas Card featuring Non-traditional Colors! Check out all the DEETS HERE for rules, to enter your cards and papercraft projects, and for PRIZE info !! 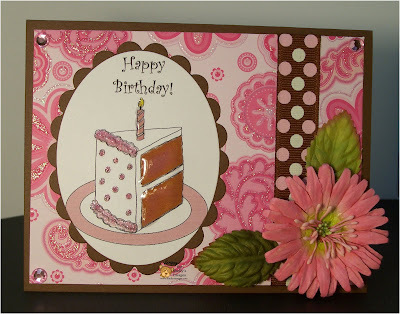 For my card below, I used one of Bugaboo Stamps Newsletter Freebies! Tell me she isn't the CUTEST! Wait! You aren't a Bugaboo Newsletter Subscriber?!?! Head over to sign up for free HERE by clicking on the Butterfly Bear in the sidebar! You'll be DELIGHTED that you did! Go and check out todays AWESOME GAME at the SI BLOG! Today is Marvelous Monday...with a twist! We are featuring some of our favorite past projects! The projects featured on the SI Design Team members blogs will ALL be discounted in the SI Shop for today only!!! 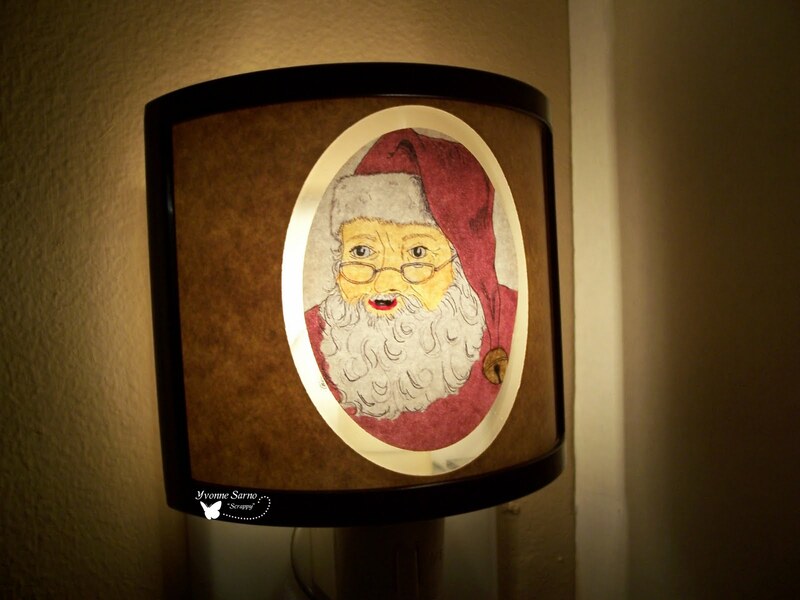 So check out my Santa Nightlight project below and share the word with all of your friends about Shelly's SUPER FANTASTIC BIRTHDAY BASH !!! Then head over to the SI SHOP to collect your faves at a discount before it's too late! New Challenge and a SPECTATULAR Blog Hop at Bugaboo Stamps! To celebrate the kickoff of our Christmas In July Celebration, we have a BLOG HOP starting today, and will post a list tommorrow of the mini challenges that we will be running all week! There will be FABULOUS prizes every day as well as the Grand Prizes for the Hop! For more deets on the mini challenges, be sure to check out the Catch the Bug Blog tommorrow anytime after 7am EST! In the meantime, we hope you will play along with our Christmas-themed Challenge and join us for our BLOG HOP!!! So...You should have just come from the incredibly talented Tammy's blog, so if you have you are on the right track! 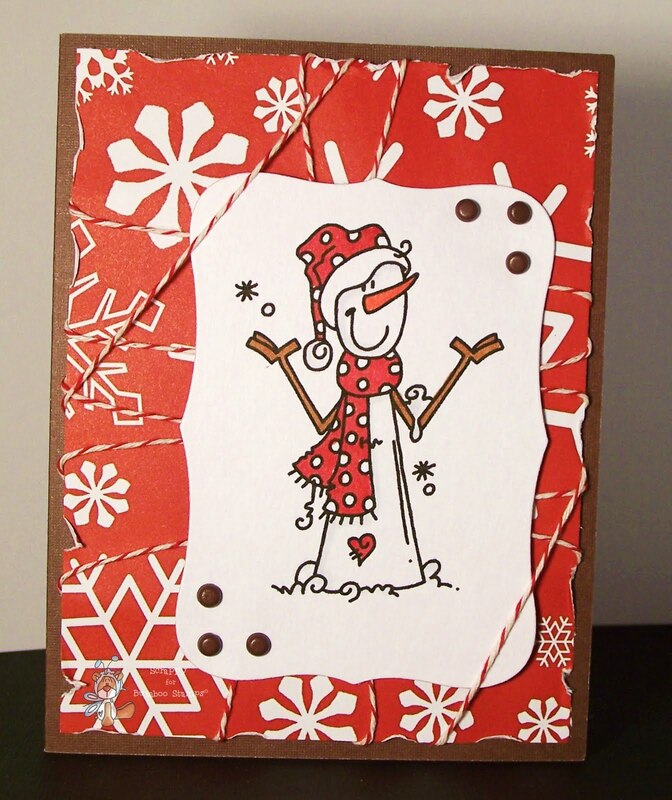 But if you haven't been hopping along with us on our Bugaboo Stamps Christmas in July Blog Hop, head back over to THE BUG BLOG and join in on the fun! When you have taken a gander at my card below and left me some love in the comments section, be sure to hop along to Lynda's blog and check out her awesome creation! One lucky commenter on my blog will also be chosen by me to win the cutie I used below! So speak up ya hear?